Although the second-largest and rather concrete metropolis in the United States might not be anywhere near one’s immediate association for a biodiversity hotspot, the fly fauna of Los Angeles is quite impressive. 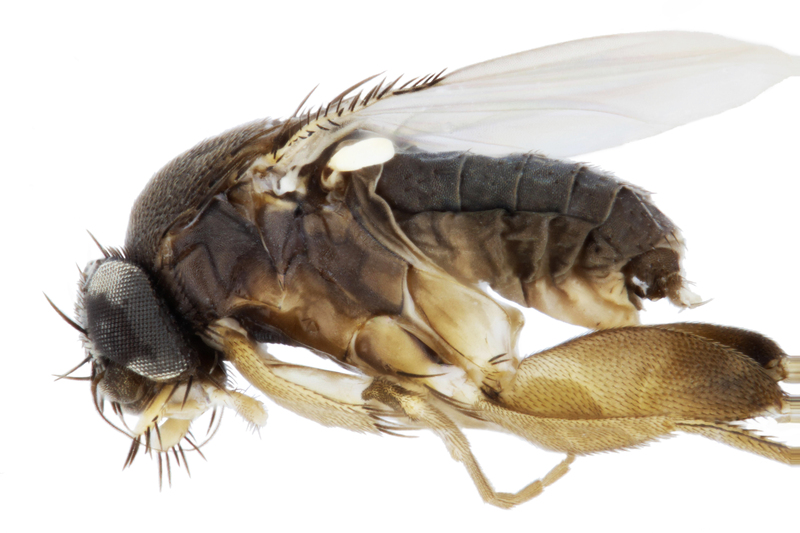 As part of BioSCAN, a project devoted to exploring the insect diversity in and around the city, a team of three entomologists report on their latest discovery – twelve new scuttle fly species. Their study is published in the open access Biodiversity Data Journal. Launched in 2013, the Natural History Museum of Los Angeles County‘s project BioSCAN seems to never cease to amaze with large numbers of newly discovered species. The first phase of the study finished with 30 species of flies new to science from sites in 27 backyards, 1 community garden, the Los Angeles Ecovillage, and the Nature Gardens at the Museum. 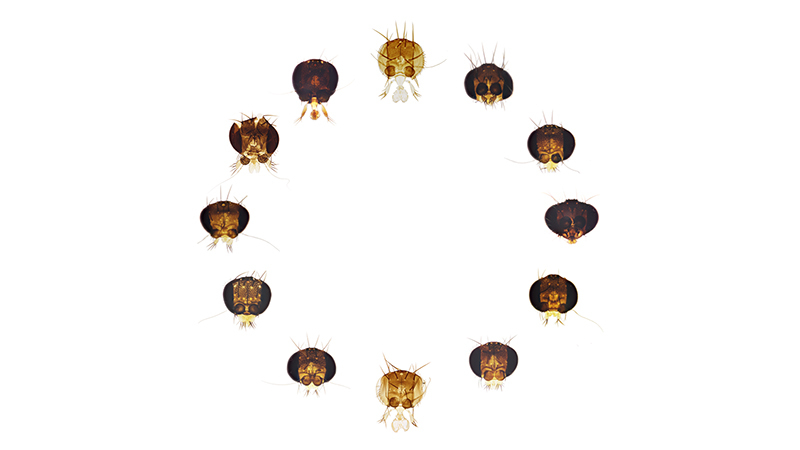 In recognition to the residents, who had literally let the scientists in their homes, each of those flies was named after the relevant site’s host. 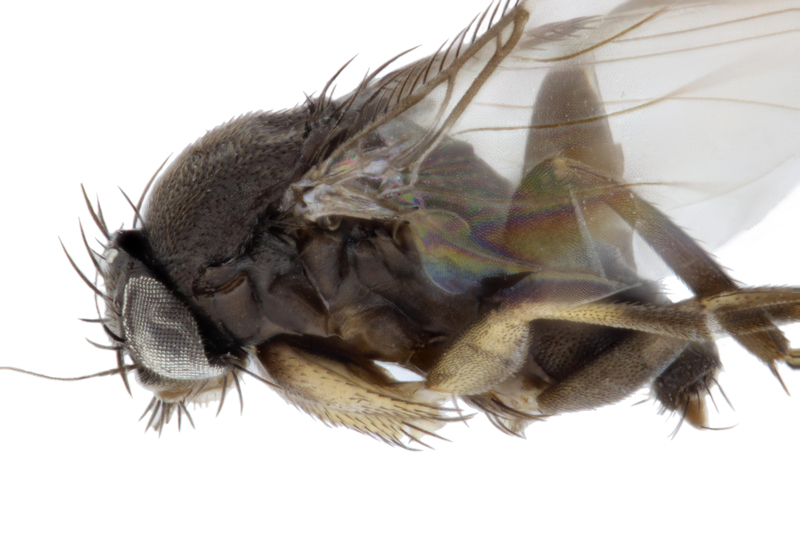 When they decided to revisit the specimens they had collected during the first year of the project as well as older museum collections, the authors of the present paper were in fact quite certain they were about to find a new batch of unknown flies. Having already described so many new scuttle fly species, the latest twelve had initially gone undercover, all being rare and often represented by only one specimen among the total of 43,651 collected individuals. “The remarkable diversity of biologies of these flies makes them a varied and essential group to document in any ecosystem,” the entomologists explain. The extensive BioSCAN project is still ongoing thanks to its passionate staff, international collaborators and advisors, as well as the large number of students and volunteers. Being especially grateful for their help, the scientists have named one of the fly species M. studentorum and another one – M. voluntariorum. The project is currently in its second phase of collecting. “These volunteers are critical to our operation, and have contributed to everything from public outreach in the NHM Nature Lab to specialized work on phorid flies,” point out the authors. In the end, the researchers hope that they will get their message across to other taxonomists, funding agencies, institutions and the public alike. Urban environments with their fast-changing conditions and biodiversity profile, need constant attention and scientific curiosity. “Baseline collections of urban fauna must be established in the present if there is hope for understanding the introductions and extinctions that will occur in the future,” they stress.